We asked the BuzzFeed Community about the best home hack they'd learned this year and their favorite Pinterest hacks. Here are some of their smartest tips! 1. Drill a hole through the side of your trash can or plastic trash can liner to prevent the garbage bag vacuum effect. See exactly where to drill the holes on Pretty Handy Girl. 2. Store sheets in their own pillowcase so your linen closet looks neat, and it's easy to grab everything you need when you want fresh sheets. Hands down, storing sheets in their own pillowcase. 3. 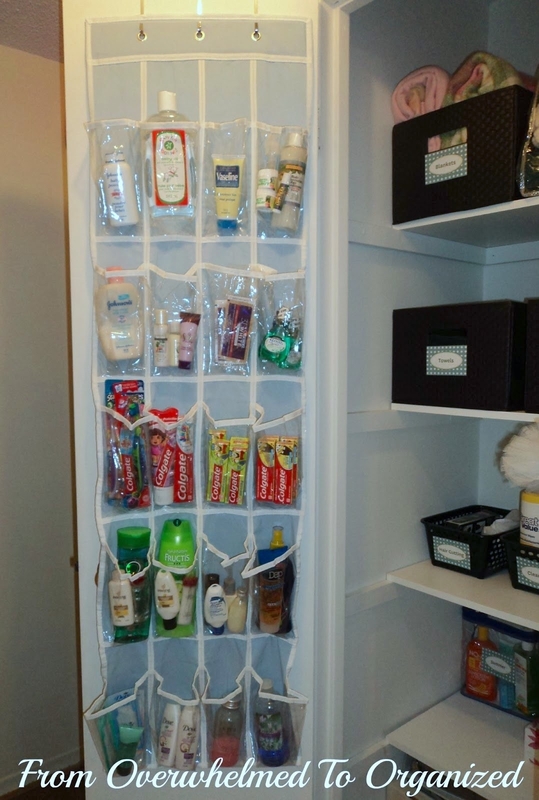 Hang an over-door shoe organizer in your bathroom to organize makeup, hair tools, lotions, toothpaste...the list goes on. 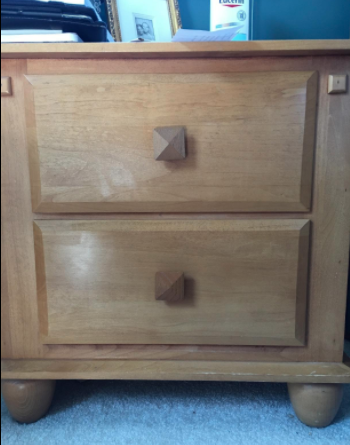 Super nice to have everything at the tip of my fingers and not have to search through endless drawers! 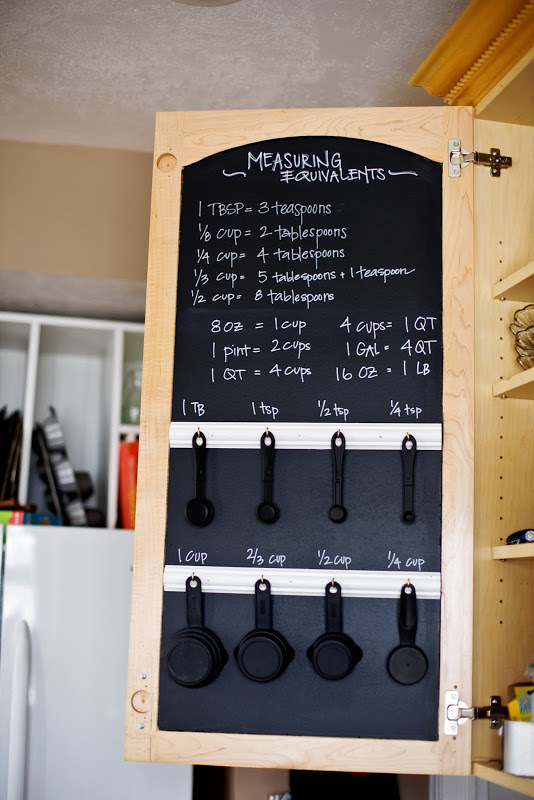 From One Creative Housewife and From Overwhelmed to Organized. 4. Start a "crap basket" system on the stairs if your family's always leaving random stuff around the house. You put each person's stuff in their basket, and they carry it up the stairs later to put everything away. From Sew Many Ways. 5. Put plastic wrap (or Glad Press'n Seal) on fridge shelves, and when the shelves get dirty, just change the wrap. 6. 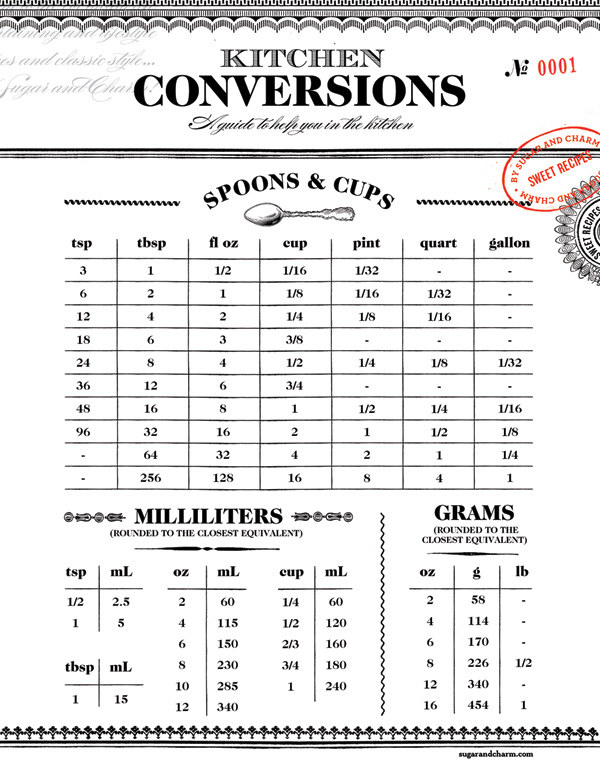 Hang conversion and temperature "cheat sheets" on the inside of your cabinets, so you can easily get the info you need when you're in the middle of a recipe. From Tidbits From the Tremaynes and Sugar and Charm. 7. When you're threading a needle, use a little bit of (plain, no-color) lip balm to stiffen the thread. According to National Sewing Circle, you first wipe your forefinger over the lip balm a few times, then pinch the thread between your thumb and forefinger to rub it on the thread. 8. Those little plastic ties from bread or rolls make it easy to label everything plugged into a power strip. Using the plastic tags that close bags of rolls to label the cords plugged into a power strip. A classic. From Out of Chaos. 9. 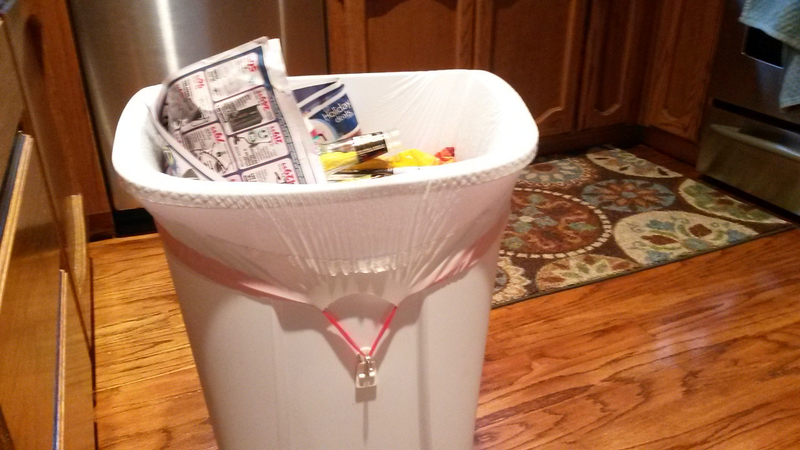 Attach upside-down Command Hooks to your trash can to keep the bag from slipping off or moving around. 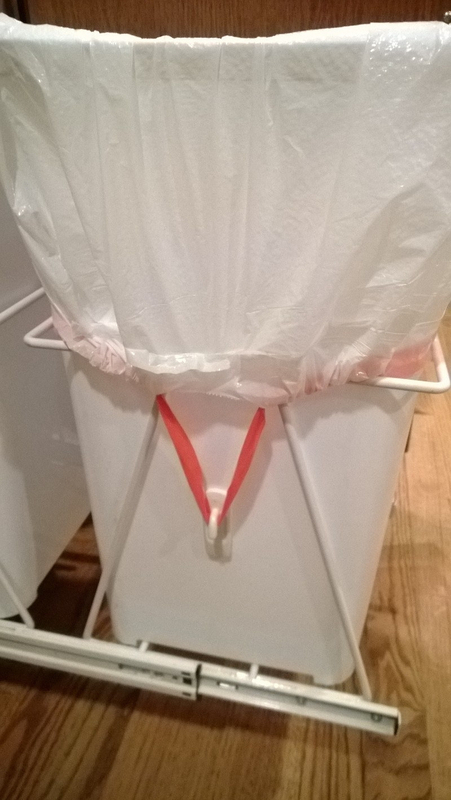 Put two command hooks upside down on the side of your trash can, then loop the handles of the trash bag on them! Keeps it in place and doesn't move! 10. Keep your chargers from falling off your desk or nightstand by stringing them through a binder clip. Use a binder clip to keep your charging cable readily available on a tabletop, nightstand, desk, etc. I never have to look for my charger at work anymore. 11. Pick up — and even squish — nasty bugs with a sticky lint roller. If you squish a bug in your house and you are (like me) grossed out trying to pick it up, use a lint roller to do it. Yay for avoiding bug guts! 12. To remove food that's burned onto pans, simmer with a baking soda and water solution for 15 minutes, let cool, and then clean. I was skeptical of this, but it's saved a couple of pots. 13. 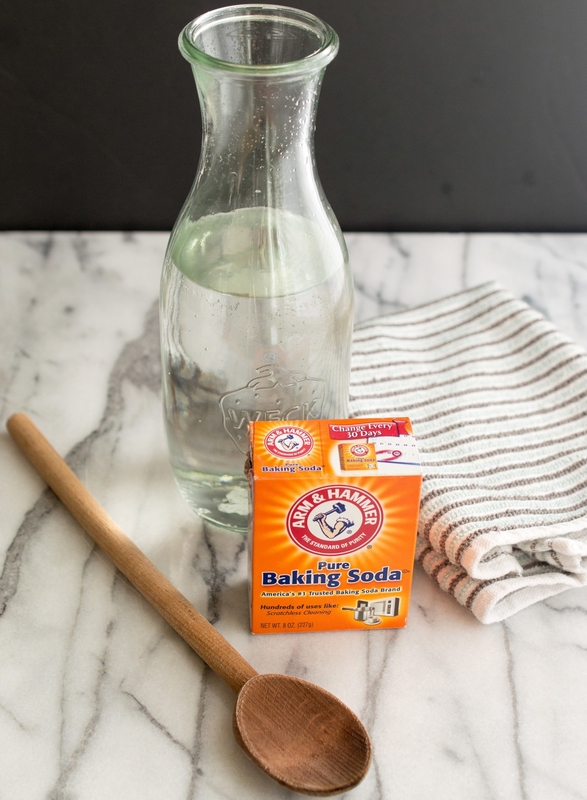 Or use dryer sheets, warm water, and dish soap to soak off the gunk. 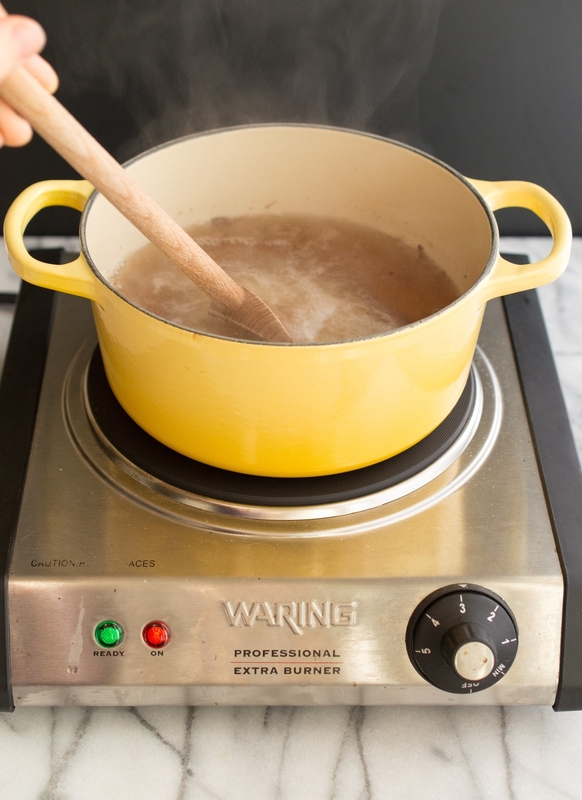 Just fill the pan or dish with warm water and a bit of dish soap, then drop in a dryer sheet or two (depending on how big your pan is), and the stuck-on food will scrub right off in about 20 minutes. Saved me hours of scrubbing and soaking. 14. 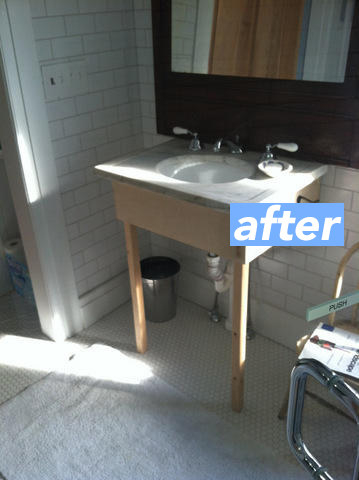 Use a magic eraser to clean light-colored grout. 15. 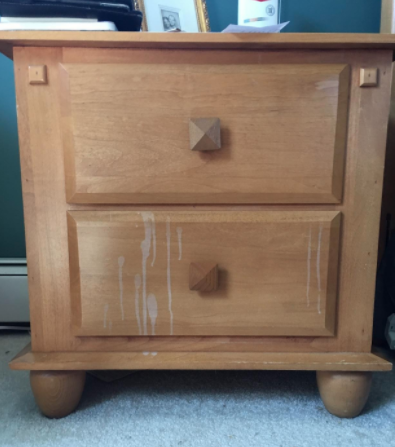 Get rid of white rings or marks on your wood furniture with the help of Guardsman's white ring remover. If you have white rings from beverages or heat on wood, it's amazing! I had white rings from a drink spilled on my wood table and this took it off immediately! I mean yes, that's the point of the product, but hey, if it works, it works. Get it on Amazon for $4.99. 16. 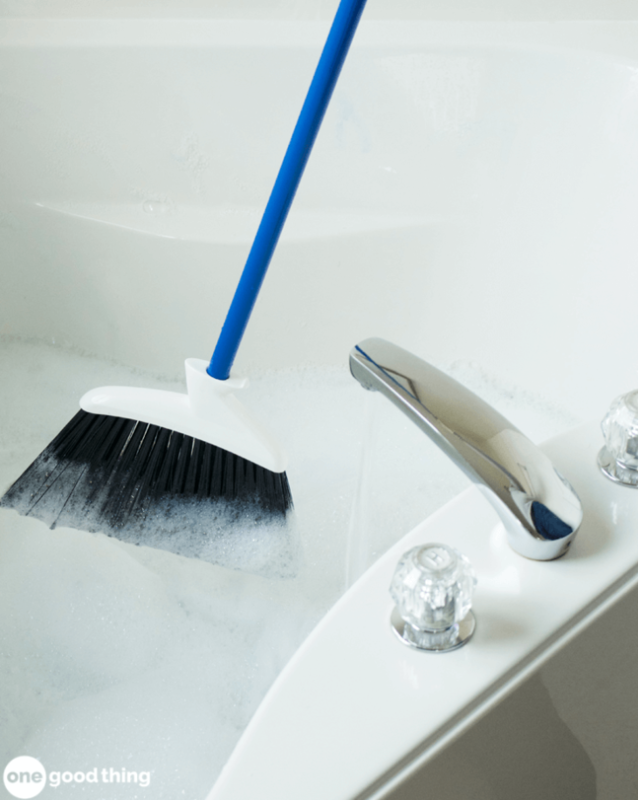 Scrub down your bathtub or shower insert with dish soap and a new broom (or a broom you keep just for that purpose). 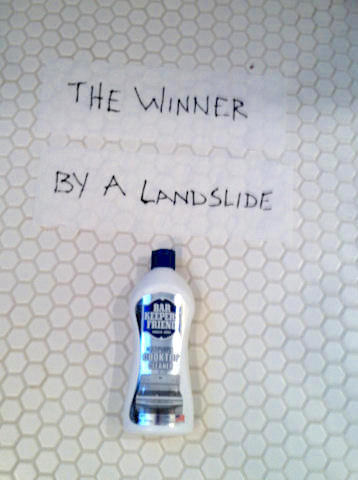 I thought it was brilliant! What better way to get the walls and ceiling of a shower insert? 17. To clean carpet strings, hair, and whatnot from the rolling bar under the vacuum, use a seam ripper. 18. Newspaper (or coffee filters) will clean your mirrors and windows without leaving any streaks or little fuzzies. 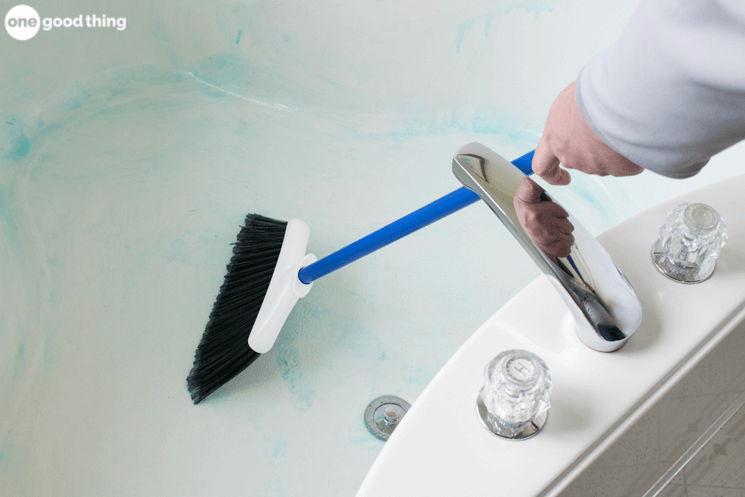 When cleaning mirrors, spray the glass cleaner on but don’t wipe with a cloth. Use a newspaper instead so there won’t be streaks. 19. 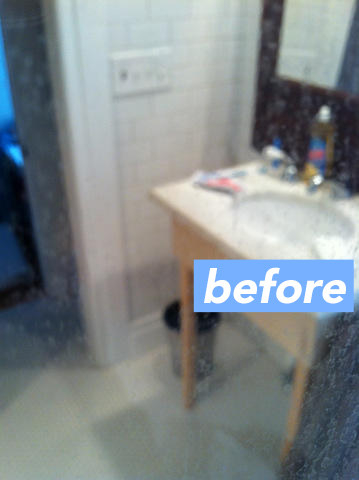 Make your glass shower door look shiny and new by scrubbing it down with Barkeeper's Friend.